Bruno Labbadia’s first game as Wolfsburg manager saw his side come away with a draw from the OPEL Arena against fellow strugglers Mainz. The visitors had a dream start to the game as Josip Brekalo opened the scoring for them in the sixth minute- his first for the club since his switch from Stuttgart. William’s cross from the left, perhaps meant for Divock Origi, evaded the Belgian, but landed at the feet of Brekalo, whose first time effort, a weak one was blocked. However the Croatian evaded the attentions of Gerritt Holtmann and was quickest to the rebound, and this time, he didn’t make any mistake. Mainz goalkeeper Robin Zentner, he of kicking at empty air fame, was left fuming. However Mainz did equalise before half time. Yoshinori Moto, who had come on just minutes before as a substitute for Emil Berggren, netted in the 44th minute- his seventh of the season. Holtmann was the provider, atoning for his mistake in the Brekalo opener. 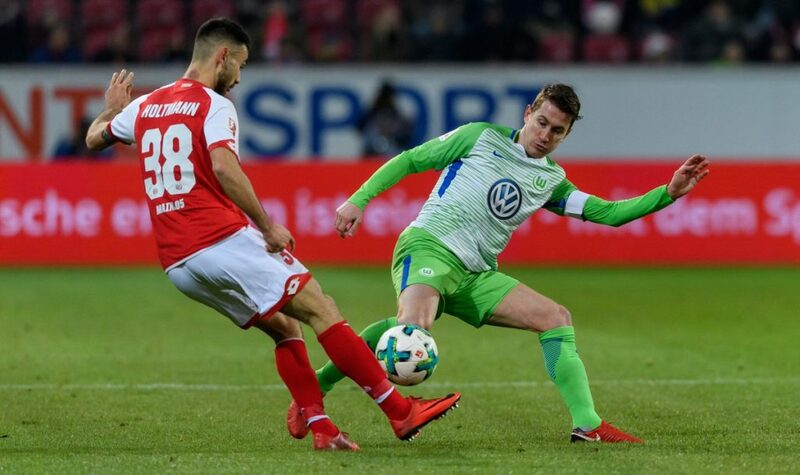 There were to be further chances for Yunus Malli and Mainz substitute Anthony Ujah, but neither were taken, and the game ended in a 1:1 draw. Attendance at Mainz vs Wolfsburg 2018 was 25.173. Wolfsburg remain a point ahead of Mainz, although both could be overtaken by Werder Bremen over the weekend if the latter win their derby against HSV.